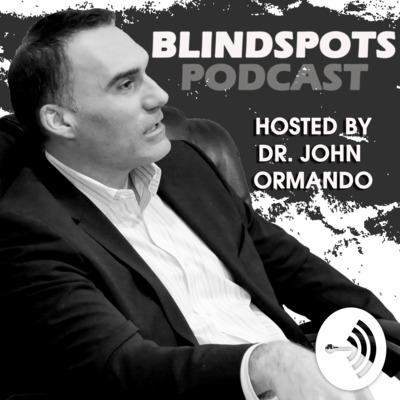 With my new podcast, called Blindspots, I hope to start real truthful conversation with all of you. This podcast will not only discuss my revealed blindspots, it will be a platform for all of us to reveal our blindspots in order to open each other’s minds and collaborate intensely so as to uncover our great wisdom and find real truths in business and life. Are your blindspots limiting your potential? Dr. Ormando talks about ways you can easily increase your revenue in your practice. Dr. John Ormando talks about staff accountability and how to make it easy for your staff to get on board! Make Your Practice A Community Institution! Dr. Ormando talks about how they have built their practice over the past 18 years from $600k to a forecasted $7million this year! What they did for marketing and his thoughts on what you can do! Episode 7: Do you really need an Office Manager? Today Dr. Ormando simply answers this glaring question. It's a short summer episode, yet very powerful! Enjoy! Episode 6: Google and Mobile and Optometry...Oh My! Don't be left behind! Listen to why all business owners need to know about the power of Google and Mobile Searching! Part Two: On this episode, Dr. John Ormando discusses his personal experience as a practice owner. He shares the process of how he earned the respect he needed in his practice. 04: Tire Slashing Was Great For Our Office Culture! Part One: On this episode, Dr. John Ormando discusses his personal experience as a practice owner. He shares what it takes to earn respect as a business owner when you are in the middle of a crisis. 03: You Have A Mediocre Practice Because You’re Listening To All The Wrong People! Would you take advice from Blake Shelton or Jay Z when writing your hip-hop song? They’re both in music, right? They’ve both been nominated for multiple Grammys. What’s the difference? This podcast is about learning from the people who have successfully EXPERIENCED your future goals, not the one’s who talk about it because they’ve read a book about it. Dr. John Ormando discusses how to create the purpose of your practice in definable terms. By doing this, the office culture improves dramatically due to the fact that everyone realizes that the practice is so much more than the doctor. Dr. John Ormando discusses the importance of core values and how they can dramatically improve your office culture and your hiring and firing principals. He goes over systems to implement and how to find your own core values for your office. Keep in mind that core values don’t have to be earth shattering, rather they should focus on the goals of your office.